Can Gett Become the Next Uber? Just what stands in the black taxi company's way? Black taxi company Gett will finally be profitable in February, global chief marketing officer Rich Pleeth told the Epoch Times, as the Uber wannabe inches closer toward its rival. The profit comes after expensive promotions that Gett has admitted are not sustainable in the long term. Last week, the company extended its 2014 policy into the new year, of paying its drivers double the pay that rival company Uber pays its drivers. Gett drivers make an average of $1,500 a week, according to a press release. The company also provides riders a $10 flat rate anywhere from Houston to 59th Street in New York City. The promotions are meant to help propel Gett to the level of success that Uber has enjoyed, which has been valued at over $40 billion. But it’ll take time and enormous creative energy to become a strong competitor against Uber. The service of bringing drivers and riders together is easy enough to replicate. 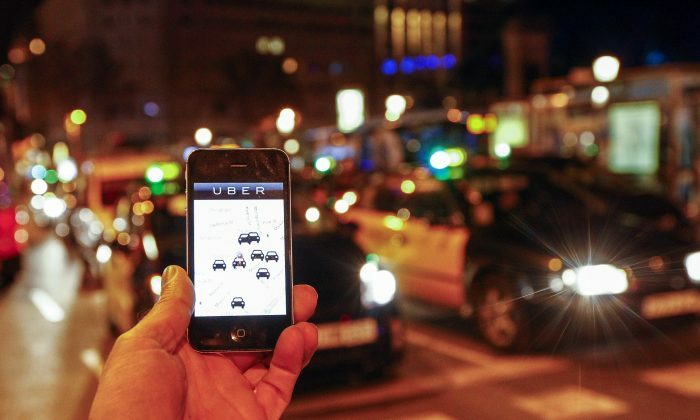 But what really allows Uber to dominate the market is its large amounts of venture capital and its aggressive expansion strategy, said Thilo Koslowski, vice president and automotive practice leader at the IT research firm Gartner. Prices could double, triple, or even go up to seven times the usual, during holidays or emergency situations. Uber’s weakness is the bad press it has received recently, including an incident last November where the company’s senior vice president was overheard at a dinner party suggesting that Uber hire a team to dig into the personal lives of journalists who wrote negatively about them, and criticism from drivers who feel they are not being paid enough. The company also incorporates surge pricing, using an algorithm to respond to market needs. Prices could double, triple, or even go up to seven times the usual, during holidays or emergency situations. Gett’s strategy as Uber’s rival has been to double drivers’ pay and avoid surge pricing. Contrary to Uber’s policy of surge pricing, a Gett ride’s pricing “is extremely predictable” at a flat rate, said Pleeth. By offering Uber’s critics with an alternative, Gett may get its piece of the transportation market pie. But whether it can do that before its unsustainable spending takes its toll—only time will tell. Pleeth said that some of their taxis are losing money while some were profitable and it would add up to a positive sum, as its Q1 results proved. To afford the long promotions, Gett spent very little money in marketing. Eventually, to vie with Uber, Gett would have to turn back to marketing, said Koslowski. And “they will have to turn on reality and have to look at different pricing structures and how they would actually compensate drivers and make money themselves,” he said. Gett may be just starting out, but Pleeth said that could work to its advantage. CORRECTION: A previous version of this story incorrectly stated Gett’s $10 flat rate was anywhere in New York City. It is $10 anywhere from Houston to 59th Street. The Epoch Times regrets the error.